Did you ever watch Romancing the Stone? It doesn’t mean everyone will feel the same emotion, but it’s amazing how many readers who will read those scenes and be touched in the same way. And no way can I plan it out. I took a writing class once, given by a writer who didn’t write romance, but he was also an actor, and he was telling us about journaling his feelings. When he was playing a part on stage where he was supposed to cry, a few times, he could do it, but then once that emotion was tapped for that emotionally-charged memory, he couldn’t cry again. So he would have to think of another that had touched his life. In writing, the scene I’m talking about didn’t happen to me. It’s just a culmination of events that occur in the story, and it’s a son estranged from his mother, who finally….well, I can’t say. It just touched me, and I’m sitting there with tears running down my cheeks, annoyed with myself, because it’s hard to write scenes when your eyes are blurry with tears, but….it’s also good because it means the writer has captured some real emotion in his writing. At least that’s how it affected me. On more positive news, my road runner is back!!! 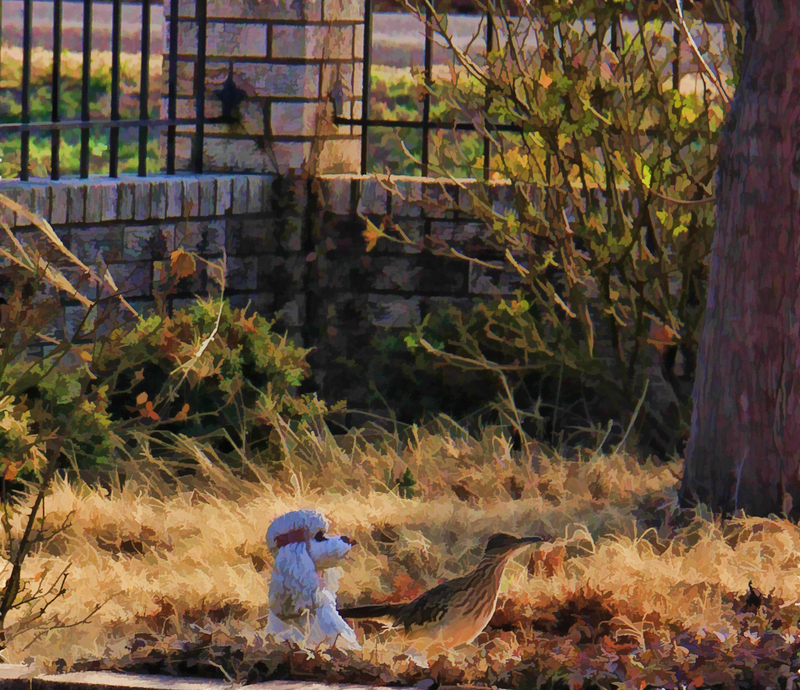 He (or it could be a she, no way to tell), was sitting on my wall yesterday while I was writing A Silver Wolf Christmas. Something is waving like a big fan up and down, up and down, and it caught my eye through the blinds. So I started to really watch, so sure it’s him, but I have to really see him so I can’t get really excited, and sure enough, there is my road runner. He was here all spring, then went missing. I had hoped he had found a mate. But maybe he went looking and didn’t then returned “home” to be with me. He would peek in my windows and watch me. I have a billion grasshoppers, so I hope he’ll eat them all up. 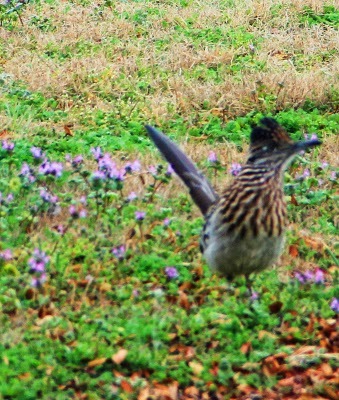 Okay now that I have my memorable road runner pictures displayed, I have more and I’d love to capture him now, but it’s not always easy to do!…I’m off to write. Oh, and I did get my publisher-required word count! Now I just have to finish the book! ← Sold! Sold! Sold! And…Sold!